Carrollton is the county seat of Pickens County, in the central part of the county on the old stagecoach road from Columbus, Mississippi, to Montgomery. 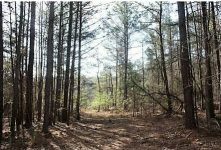 It is 1 mile from Lubbub Creek, 10 miles east of Tombigbee River, 30 miles southeast of Columbus, Mississippi, 40 miles north of Eutaw, Alabama. The town was incorporated by the legislature, January 15, 1831, with limits extending 1 mile in every direction from the courthouse. 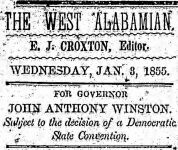 Newspapers in the town included, The West Alabamian, a Democratic weekly, established in 1849, the Pickens County Herald, a Democratic semiweekly, established in 1904, were published there. In 1830, the United States Government gave the commissioners of Pickens County 80 acres of land on which to establish a county seat. Carrollton was built upon this land and named for Charles Carroll of Carrollton, the Maryland signer of the Declaration of Independence. Among the first settlers were the Van Hoose, Stansel, Stone, Clitherall, Lanier, Davis, Martin, Hill, and Johnston families. Samuel B. Moore, governor of the State in 1831, after the expiration of his term of service, came to Carrollton, and there he died. His remains lie in an unmarked grave in the town cemetery. The Confederate hero, Gen. John Herbert Kelly, killed at the Battle of Franklin, Tennessee, was born in Carrollton. 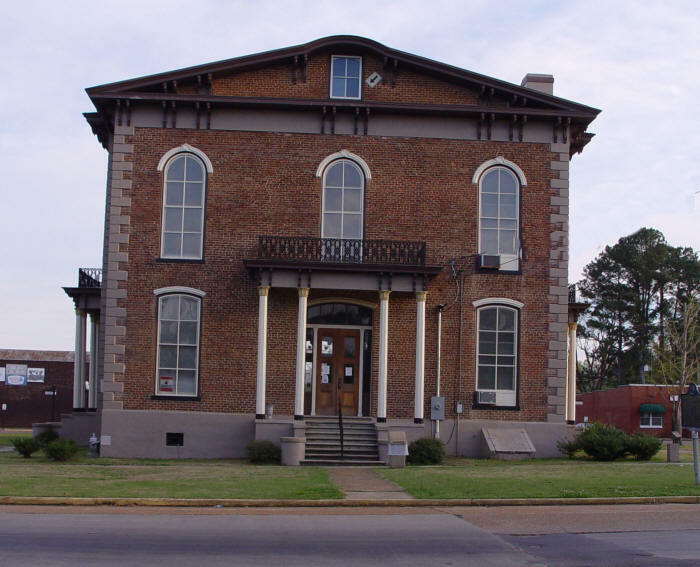 The Pickens County courthouse in the center of Carrollton was erected in 1877. 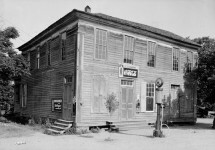 The first courthouse in Carrollton was burned on April 5, 1865 by troops of Union General John T. Croxton. A second courthouse was also destroyed by fire on November 16, 1876. 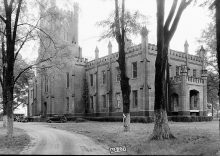 Though arson was suspected, no arrest was made until January 1878 when Henry Wells, an African American with some criminal history, was arrested and locked in the garret of the new building. Here is the whole story told by a famous story teller, and author Kathryn Tucker Windham. The 130th anniversary of the Face in the Window passed without fanfare in Carrollton. “I don’t think anybody took the time to realize that it’s been 130 years,” the town clerk told us. “We just know it’s there.” The clerk also said that the Courthouse was never threatened with demolition; Carrollton would never tear down it’s most famous building, even if it carries Henry Well’s curse. 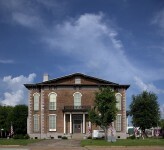 The Courthouse was just being restored to tip-top condition. Northern Alabama (1888), p. 213; Folk’s Alabama gazetteer, 1888-9, p. 252. Responding to text on The Face In The Window of the Pickens County Courthouse: You sight a story by Kathryn Tucker Tucker. Do you mean Kathryn Tucker Windham? I certainly did Joe. Thanks for catching that. Been to this place. The glass does look funny but I did not see a face. I have seen this many times over the last 40+ years. 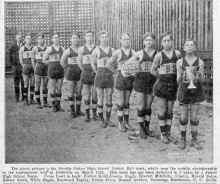 We use to go and research family history in Pickens Co….this was always both spooky and incredibly interesting to me!!!! It has certainly held through the test of time! Linda Shoemaker Johnson this is what we were talking about at our get together. This is my favorite story of all the Alabama Ghost stories!! I’ve been there and seen the face! I have seen that in person. It’s there! I have seen the face every time I have been there. From several different angles. It is there. I live there, and it is still here. You can’t see it very well in this pic. No but I’m on my Iphone… and my bifocal contact lenses don’t work well!! I have been by it is their so true. Its there, I’ve seen it! Been there several times. Saw the face. Carl S. Martin, I think we are related by DNA. my Aunt Olivia Ball Sullivan owned the Phoenix Hotel across from that Carrollton County Courthouse and as a child my family stayed at the hotel on visits. I heard that story when I was 4-5 years old and saw the face in the window. Some of my Ball relatives are buried in the Old Garden Cemetery and other cemeteries in the area. My Mother’s Mother was a Windham, she married Buck Derryberry. I think they lived in Ewtah, Gainsville, in that area. I’ve been there and seen the face. I want to see it!! Road trip! Has been there 57 years that I can verify. When I was hired to teach at Gordo, I interviewed at the courthouse. The principal walked me to my car and made a point to show me the face in the window. He told me the story behind the face itching on the glass and how it reappeared the time the broken window was replaced. It made the hair on the back of my neck raise. The lore was nicely told!! Have been to the play too. I went there with Jack Daniels once. After a while we both saw it, but only in the light of a full moon. I love this story and I hope to see the “face” one day. Yes it is true I have seen it myself. I lived there my entire school years. TINY town!! I’ve seen is a billion times. The face is always there, and the pane was shot out (Joey Adams) and it was replaced. He’s still there. I have seen the face several times on my visits to Alabama. You definitely see a silhouette. I remember Daddy taking us by there after after a basketball game when we were in high school. Saw it about 6 months ago. It is INTERESTING. I have seen it. I think it is some kind of optical illusion. Actually you can see an optical illusion. If you ever look at the moon at night and it looks real big it is an optical illusion, because the moon never changes in size. Face looks cartoonish to me. I’ve seen it. It looks like a face to me. Years ago, the face in the window was where we took all our out of town visitors. This is so true. I saw it. It gave me chills. As god is my witness, this is for real. I think he had the same name as the founder of wells Fargo. His name was Henry swells!! Doug!! I could never see it as a child. Haven’t been back to Carrollton since. I did see the face in one of the photos here tho. Most of the time when we went by, and they said look up, I’d cover my eyes! Linda I have roots in Kennedy Ala. I choose not to use FB messenger on my phone. I will message you when I’m on my outer. Been there and YES I did see the face!! Face is there, even when the window is replaced. I always see it too. I’ve seen it, it looks like a person put grease on their face and pushed their face against the glass, but it is there, I’d like to go up there and look at it up close. It’s in the book 13 Alabama Ghost and Jeffery. I’ve seen the face. Or an image of some sort. Almost looks like a face from scary movie. My ex, who was from Pickens County, took me on a Pickens County tour early in our relationship and showed me the face. I could not see the face.I can in the photo. I’ve actually been there and you can see him. We lived in Pickens County one time. Kind of not to clear. The face is real and I loved the video of Katherine Windham Tucker. She is forever an Alabama treasure! I was there a few weeks ago. My pic didn’t show up so well, so I didn’t post it. 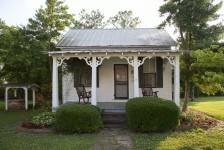 Amber Linkenhoker is this the Pickens where u lived? No we lived in Pickens South Carolina !! I bet you still love to watch scary movies!!!! I’ve seen it. One of the stories from “The 13 Ghosts Of Alabama” which can actually be seen. Marie Burns Lutz Your Mom might like this one. Lived there I. The 60s. Was scary to ride bike by the window every day. Really spooky to see it in a storm! I saw it about 41 years ago. You mean the cartoon looking face? Yeah I saw it, cool story. My aunt and uncle had a farm there. I saw the face when I went there. I don’t think you need the arrow. I’ve seen it dozens of times. Yes, dozens. I could listen to her tell stories all day! I saw it. Have also been to the play held in the courtroom. Have seen it in person. My grandmother grew up in Carrollton. Spent a lot of my time at my great grandmother’s home there. The first hospital I worked in is there. That face is very much in the window. And, no, you don’t really need the arrow to see it. Has anyone ever actually inspected the glass? If old leaded glass variations in the manufacturing would cause such an apparition. If newer glass, has it been etched or appliqued? Ghosts are not real. Spirits do not exist. Made a research trip and saw the face. Very easy to see in person. My Dad’s family was from Gordo so we visited this courthouse on several occasions. Yes, I saw the face! I was ther and saw the face. Was it a man or woman face? I have seen it. There was an old country song written about it. I have seen this many times on my travels from my home to Livingston, AL. I went to “LU” from 1982 to 1983. Yep. Turn right there to the best crappie lake in Alabama. Oh yeah, I seen it. I think the Wells incident happened before the window was installed. And he was shot on the run, not lynched by a mob. No, because it only exists in people’s imaginations. Used to work in the building sometimes. Yes, I have – it’s eerie. saw it in 1977, i think. Been there I saw it. Been there. Have seen that. And the play too. A sad part of our state history. Play is done in the courthouse. i have seen it . Believe I remember reading about it back in school in the 13 Ghosts of Alabama book? I could be wrong. I used to travel through there periodically 15 to 30 years ago, and took several good photographs of the image with a 400mm lens on an SLR. Amazing. The ghostly image would shift on the glass. Definitely a haunting. I still have the developed photographs somewhere. Yes, Aunt Verma took me as a child. Yes! Many times. My hubby was from Pickens County. Pretty awesome to see and learn the tales. Yes, I think they have replaced panes of glass and it’s still there. yes, i believe some things will hang around like this, he must have been innocent! I saw it. Looks like a face but no great detail. Mostly like a clown face. I went there last year and didn’t see a thing. I guess they need to replace the pane of glass again, as has been done several times. I don’t want to knock the town, evening if I didn’t see the ghost. I looked around in the building and it was very interesting. By the way, if you’re in that region also visit the musem in Aliceville that tells about their POW camp. It’s definitely worth a visit. I saw it about 46 years ago. My grandfather took me and several cousins to see this MANY years ago. We thought it was pretty neat! Yep, and told that tale to 1000’s of middle age students as an Outreach Librarian. 48 years ago, it was as clear as day! This woman is a good story teller. l saw it about 60 years ago!!! I saw it many years ago. Yep, bout oce a year, my grandfather, or an uncle or an aunt, would take all of us riding…from Greene County over to Pckens , Carrolton…, to see the face and to hear that story and get a 6 cents co cola. Our paranormal group at the time was the very first group that ever investigated it. Very interesting place !!! Daddy drove us by this every time we went to visit family in Gordo! When I had my own child, I took him, too! Saw it two years ago. We stop by on our way to the beach. I have heard this story all my life and got a chance to see the window for myself a few years ago. Went there and if you wait long enough , you will see him!! !